REAL Spring Cleaning – Using our hands to clean the space between our ears! There’s some serious work going on at the Bowers Homestead these days! 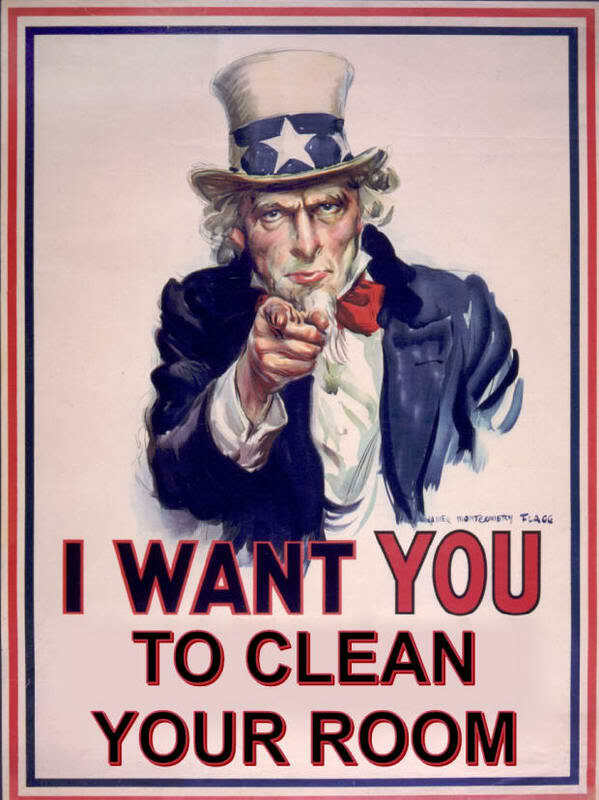 See, springtime’s arrived and that means its time for some good old-fashioned spring-cleaning! There’s bookshelves to be rearranged, pantries to be cleaned out, nooks and crannies to be dusted, floors to be mopped etc. And that’s just stuff that’s in the house! Outside there’s roses to trim, garden soil to turn and grass to be mowed. All I’m saying is that somebody needs to get busy! Today I would like to talk to you about how to do some REAL spring cleaning. And I’m not just talking about washing away the streaks of where your four-year-old wrote his name on your bedroom window using his tongue or slaying that crawling, green ooze that lives up underneath your stove either. 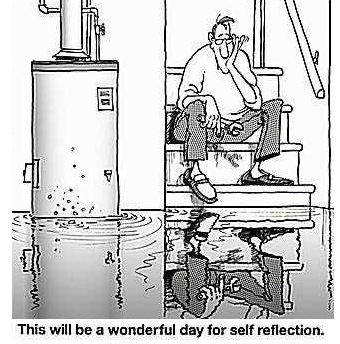 No, today we’re going to learn how to use our physical spring house-cleaning routine as a catalyst for doing some high-level mental, emotional and spiritual maintenance to ourselves. See, just like our homes get junked up, cluttered, dusty, dingy and stale from throughout the long, cold winter months, so can our mind. If we don’t occasionally take-out-the-trash ‘upstairs’ then our head becomes cluttered with unproductive, unhealthy and genuinely useless thinking—we become bogged down and ineffective in the most critical areas of our lives. However, a good mental sweep-out can be the most productive way to get us cognitively refreshed, renewed and ready to take life on with a fresh sense of focus. The origin of the practice of spring cleaning is highly disputed. Almost every major culture on earth wants to take credit for it. The ancient Greeks, Chinese and Persians all claim to have “invented” the tradition of cleaning their houses after the winter months had passed. In my opinion, this is sort of like living beside a river and claiming to have invented the practice of drinking water. However, most of these ancient peoples were much more in touch with cyclical nature of their natural world than we are today. When spring came around they simply followed the example that nature provided for them. The winds and rain naturally began to thaw and wash away the old and dead things in the environment and replace them with things that were new. Sunshine and warmer temperatures naturally boost their body’s biological ‘feel good’ chemicals which provided extra energy. (aka Spring Fever) It’s pretty much common sense that for these peoples spring was the optimal time to gather food, plant crops and repair any weather damage to their homes. The real stand-out example where spring cleaning is concerned is the ancient Israelites, who took the practice to a-whole-nother level. After being delivered from Egypt in the spring of the year they were commanded to do a most unusual type of spring cleaning—one that went far beyond the practices of these other cultures. Specifically they were to remove all leavening agents from their homes for a period of seven full days. (Leaven is the stuff that makes your bread rise and become poofy.) This included any remnants and even the crumbs that might have gotten stuck under furniture or worked into the corners over the course of time. 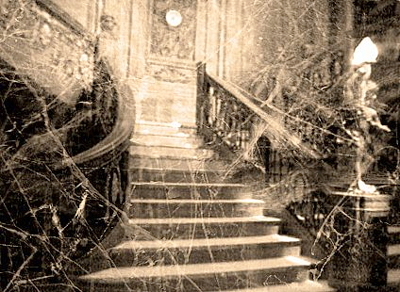 Invariably, the entire dwelling got a thorough once-over as floors were swept, cupboards dusted and rugs beaten out. But wait! Why leaven? I mean there are a hundred other things that seem like they would be optimal objects of discrimination—like good old-fashioned dirt, pet hair or maybe even pollen, right? The answer to this question is profound! Leaven is unique from normal dirt or dander because it’s a naturally-occurring yeast spore that saturates the very air around us. Therefore it constantly rains down on everything much like dust or lint. And to make matters worse leaven is virtually INVISIBLE! To truly get rid of it you have to be extra-thorough because you are in essence fighting an invisible enemy—one that permeates everything in your environment! See, leavening, which “puffs things up” was to the Israelites (and moreso to the early Christian Church) an allegory that represented wrongful, negative and destructive thinking and actions that invariably occur from just living everyday life as human beings. 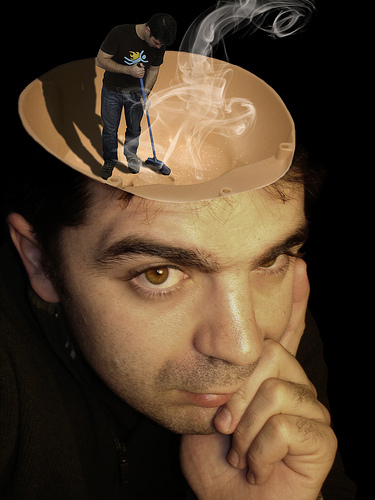 Removing “all” of the leavening from one’s dwelling would be just as difficult as removing all negative thinking from ones’ head! Therefore, these seven leavenless days represented not only a time of physical cleansing but also of mental emotional and spiritual renewal. For many years my family and I have kept the form of spring cleaning described above as it was practiced by the ancient Israelites and the early 1st century (pre-Roman) Christian Church. In our personal faith it is called the Days of Unleavened Bread. And I can honestly say that I find it to be one of the most worthwhile and fulfilling practices ever because it helps us to approach BOTH the physical and spiritual aspects of spring cleaning with some organization and formality. In my experience this DUAL approach has always yielded very important lessons and personal insights every single year. Now, while my goal here is NOT to persuade you towards my beliefs, I think that there are several profound insights about them that you will find useful in your own spring cleaning. Our approach is very practical. 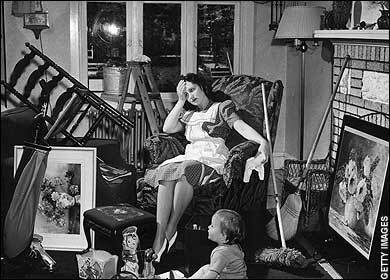 We begin by planning and assigning a schedule for the dusting, vacuuming and scrubbing to each member of our family. Everybody in the family has a part. However, in addition to this schedule we each set aside extra personal time to be used for self-examination and reflection. We use this ‘redeemed time’ to call into perspective those aspects of our lives that need to be tidied up. This usually includes time for studying, contemplation and prayer all of which help us to gain access to ourselves but also to the ideals that we are striving to aspire to. (We’ll discuss this more in a moment.) There is a GREAT, virtually indescribable benefit that comes from strictly regimenting and disciplining yourself this way physically and mentally for a period of a few days or weeks. You are in essence, formally ‘setting yourself aside’ for cleansing. This approach makes a profound impact on our insights and perspective. 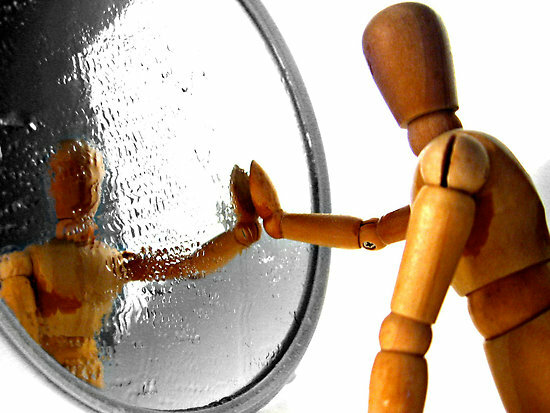 It helps us to find a slightly detached yet profound emotional clarity by which we can examine ourselves in the proverbial mirror. Attitudes, mindsets and prejudices—emotional knots and negative thinking—become exposed and vulnerable for our judgment. Personality quirks, unrealized addictions and unhealthy dependencies bubble to the surface where we can at last acknowledge and skim them from the surface of our consciousness like dross. The benefits of setting aside such time every day for an extended period is priceless for showing us specifically what parts of our thinking is “trash” and providing the means to remove it. 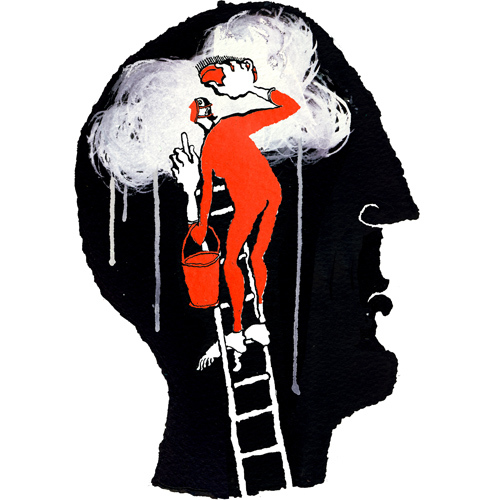 HOW & WHY Our Mind Accumulates so much JUNK! There was a time when people believed the world was flat. And thus, the limits of their ability—what ‘was’ and ‘was not’ possible—became governed by that belief. As a result, they didn’t sail too far into uncharted territory or seek new places because they feared that they would literally fall off the side of the world and into the abyss. For many years this flat world was “reality” for entire nations—or it might as well have well been. And unfortunately, they didn’t have the means (or the nerve) to find out differently. However, one day it was discovered that the world was actually round, and that new understanding unlocked many, many exciting new possibilities. All of a sudden there were undiscovered worlds to be explored and things that previously seemed impossible not only became possible but practical! Our power of observation is the source of one of our greatest human abilities: the ability to learn. Unfortunately, it is also the source of one of our greatest weaknesses because what we perceive, or the meaning we ascribe to what we see, is governed by what our brain believes is interesting, important or real at any given time. At any given moment there are thousands of things that are happening all around us but we only notice one or two of those things at a time. Our brains use amazingly designed biotechnology to literally filter everything else out. (We’ll see exactly how this happens in a minute.) 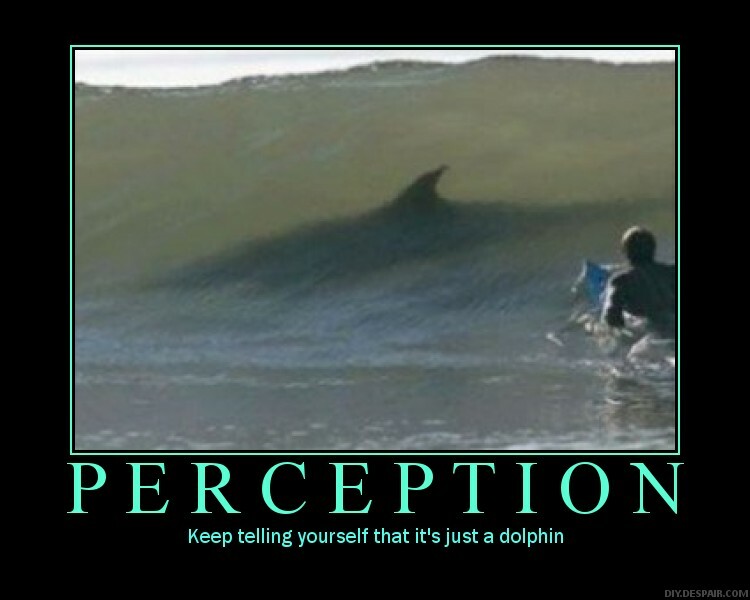 Magicians take advantage of this ‘disconnect’ between our observation (what we see) and perception (what we think we see) all the time. They distract us to look at one hand while the other, which never appears to move at all, is doing something that we can’t see. This fun use of misdirection is called an ILLUSION and we laugh and cheer because it appears that the magician performed some impossible feat. In actuality all he did was manipulate the natural limits of our observation to make us perceive what in our reality is ‘impossible’. Even when we are paying close attention we are still missing so much! But that’s a good thing because if we didn’t then our cognitive process would become bogged down under the sheer number of details that it would try to absorb—we’d never get anything done! Can you imagine walking out into a busy street only to see a truck barreling down on you—but rather than registering imminent danger and firing your reflexes your brain instead began to try to process the truck’s make and model, guess what approximate speed it was traveling and even began to critique the color scheme before letting you know you were in trouble? If we were all wired to think that way human kind would have died off as a species long ago. Luckily for us, we’re wired to recognize danger without a lot of detail. That’s why we can mistake a stick lying in the grass as a snake and physically jump back to get out of danger. This snake isn’t “real” at all but until we gain enough knowledge/experience to overturn that belief it might as well be a 12-ft python! Here’s the thing: the same part of our brain that causes us to “assume” that the stick is a snake is also the mechanism that creates many of our biggest cognitive problems. How does this happen? Well, how should I put this—in short, our mind knows how to fabricate reality. It knows how to “fill in the gaps” in areas that we are not paying attention to or (for that matter) interested in—background, landscape and miscellaneous details that we just take for granted exists. We do see these things in varying degrees but our mind labels them as ‘miscellaneous’ details and actively works to suppress our perception until they generically match our assumptions or expectations. Our mind is so good at fabricating reality that we can become panicked, depressed, paranoid, angry or disillusioned solely through suggested assumptions. (Is that a spider crawling beside your left foot? No—don’t look down! 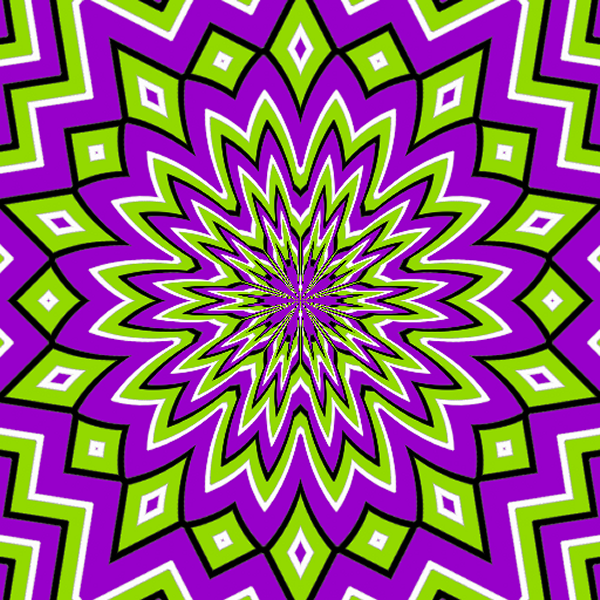 See it in your mind’s eye, wiggling cautiously towards your foot. I said don’t look! LOL! 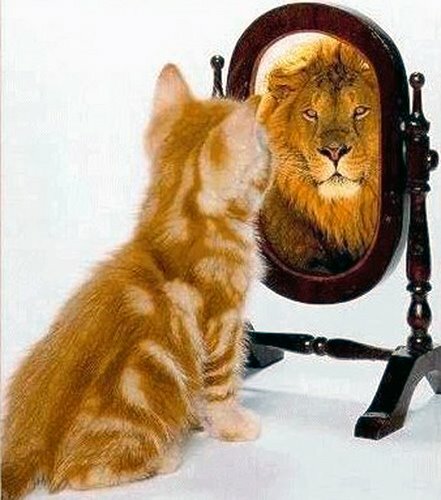 See how easy it is for your mind to fabricate something ‘real’?) If simple seed-ideas and assumptions can cause us to react so strongly what kind of power do some of our life-long illusions have over our lives? At any given time in our lives we are not seeing life as it “is” but rather as “we are”. Even our most cherished memories are a mixture of real events and fiction. An excellent way to illustrate this concept is to think of an early childhood experience—let’s say a trip to the County Fair. 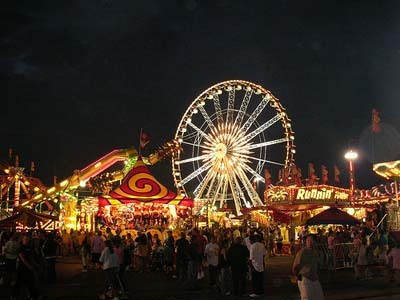 There are certain aspects of that memory that will be very vivid—maybe the twirling and spinning of the rides, the guy at the booth challenging you to knock over some cups with a ball or even the residual taste cotton candy. You can probably remember the laughter and joyous screams as people rode the various rides and the probably smell freshly popped pop-corn. Everything that stood out to you during your visit was recorded into your head. Your brain tagged these memories as ‘important” and filed them away in a place that you can easily reach later. But wait! Isn’t it funny that when you think back again that you can’t “remember” the faces of more than a dozen of the strangers walking around. Sure, you “see’ them—but only to a point. The same can go for the grass, the litter, the ticket counter and some of the booths. Your mind only recorded these experiences in varying degrees based on their level of interest/importance. However, when you get ready to reminisce about this experience it calls up all of these intricately recorded details (which are an infinitesimally small part of all of the events that we actually “saw” during that trip) and for the rest it creates a composite picture based solely from our expectations and assumptions to populate the rest of the experience. Think of it like green-screen for your mind. You can now see why it takes conscious effort on our part to sift through our thought patterns and identify what is productive and what is not. As I mentioned earlier I take a dual approach to this mental/emotional/spiritual cleaning process. First, I set aside several days or weeks for the task and secondly I tie it in with the physical spring cleaning activities that I have already scheduled. What I would like to do now is share with you some of the techniques that I use to make this process productive. 1st: Set aside ample QUALITY time for self-reflection – The entire process can take days or (likely) weeks especially if you’ve never done it before. It should not be approached half-heartedly if you expect to get real or lasting results. I highly suggest that during the early part of the process that you “unplug” from radio, TV and internet for at least a few days, preferably a week. I realize that sounds extreme to some people but trust me—the results will speak for themselves. You might have even winced a little when I suggested unplugging for awhile. If so, then let that be your first example: a media or social networking addiction. See how easy it is? You can do it! Use time either in the mornings and evenings to reflect a little bit on the things that are happening in your life right now. This is a good addition to any personal prayer or study time that you are already utilizing. What challenges or conflicts are you facing in your life? How did they come to be? What are we supposed to be learning from these challenges? How many of our attitudes and opinions, especially in these troubled areas, are a result of ‘flat-earth’ thinking which is based on assumptions rather than reality? Does this provide any new insight on how this problem came to be or how it could be solved? Something truly supernatural takes place when we ask the right questions at a time when our heart is truly prepared to receive the answer. 2nd: Try to write it down – Though expressing one’s self on paper can be difficult for some people it is truly one of the most effective ways to find out what is truly going on inside our heads. 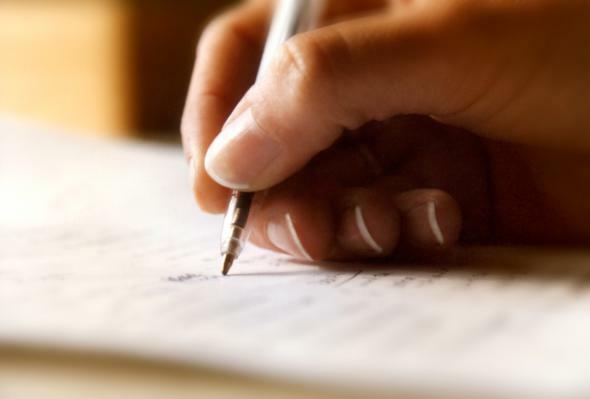 A matter of fact, I could argue that the LESS proficient that you are at writing the MORE effective and beneficial that it will be for you to make writing a big part of your self-examination process. The reason is simple. The mental faculties that you use to write are very different from the channels used in speech or even in common thought. Writing makes you access the parts of your brain where knowledge is stored just out of reach from our normal grasp. Striving to express yourself on paper helps you to call upon these resources that would normally just lie dormant. Ask yourself good questions (like the ones mentioned above) as a catalyst for brainstorming words, sentences or paragraphs. You can even draw pictures! You’ll be surprised at the amount of internal baggage that will be revealed. But, above all, BE HONEST! Don’t let yourself edit something out because it makes you sound bad. THAT is the kind of thing that you are trying to identify. Once this process is over you can shred or burn anything that you feel that you need to. It may even be therapeutic to do so. But until then, keep it and use it to identify negative patterns of thinking. Remember, if you don’t draw them to the surface and deal with them then they will lay dormant and will unconsciously influence your everyday thinking. Consider them like a boil. They are extremely painful and even damaging until they can be drawn to a head and lanced. And even then the wound must be tended with care to prevent infection. 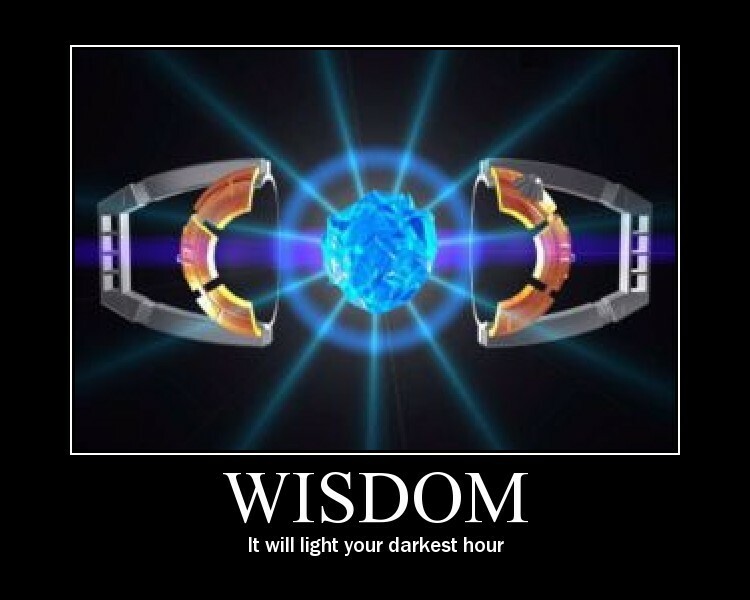 3rd: Actively Seek Wisdom & Knowledge – We’ve all seen the example of a jar filled to the rim with stones and water. If you reach in and remove some of the stones by hand then the jar is no longer full but has empty air at the top. The lesson is that once we remove negative aspects of our thinking (lance the boils so-to-speak) then we must replace those things or something worse (infection) can take its place. For many years, as a part of my self-examination process I have made absorbing myself in great wisdom and knowledge a valuable part of my routine. This can be from scripture, inspirational writing, biographies of great individuals and even poetry. What we are in essence doing is replacing the chatter that we unplugged from earlier with things that are true, uplifting and good. This constant stream of positive knowledge and energy begins to transform our entire perspective. It fuels dynamic positive change at a core level and helps us to build momentum in programming our brains to think positively and creatively. Well, there SO much more I could say and share with you about this process. If I tried we’d probably be here for days. We’ve literally only skimmed the surface. But what I can say is that taking the extra effort to do some cognitive spring cleaning has been one of the most productive and fulfilling aspects of my life and I hope that in the long run you make it a part of yours. 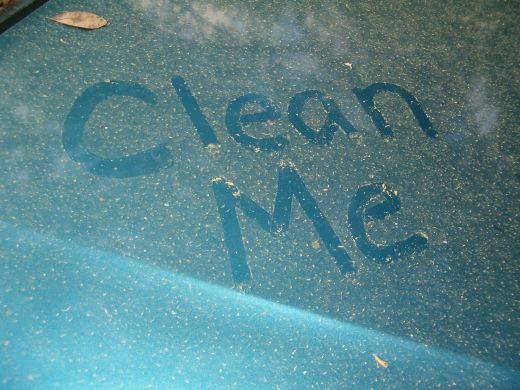 3 Responses to REAL Spring Cleaning – Using our hands to clean the space between our ears! Whoa this is an excellent post. You’ve must have completed extensive research on this subject. This is rather absorbing so I must email all my family. 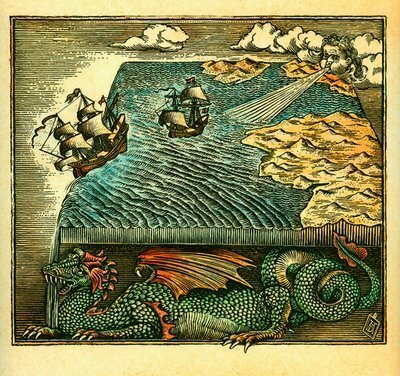 Can you tell me the name of the author of the etching representing a flat world with a monster beneath? I really like the style. Is it old or it just looks old? Thank you for informing me ? Alban, Best that memory serves me it is from the ‘Flat Earth Society’. Good Luck!